Date Added: 03/25/2018 by Jordan J. Just wore my shirt yesterday for the first time. I got compliments everywhere. Embroidery is stunning. 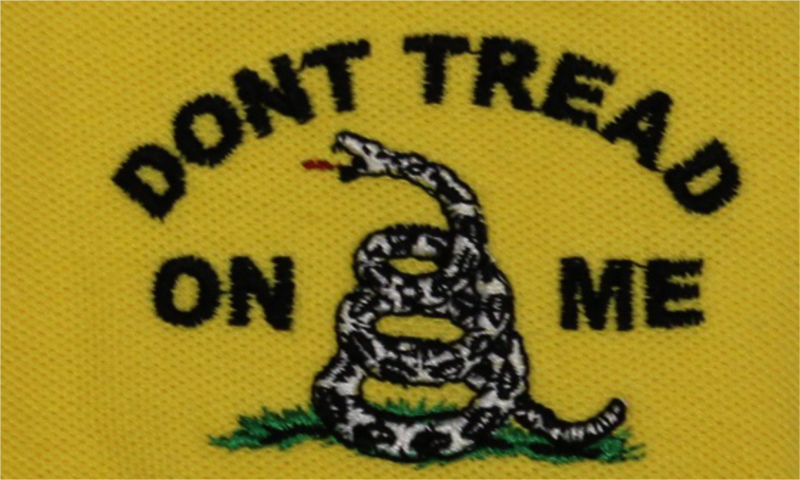 I have another yellow Don't Tread on Me polo like this I bought for $39.99 years ago. It was an unbranded cheapo direct from China type polo with an ok embroidery. Yours is a better quality Gildan polo and a much nicer embroidery.